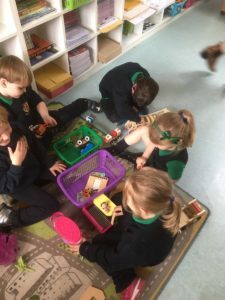 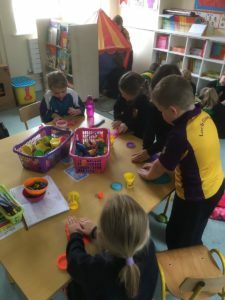 AISTEAR Framework: A programme to develop language, co-operation and social skills through the use of play. 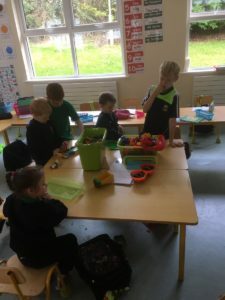 We use this programme in our infant classrooms and it is proven to be highly effective and enjoyable for all involved. 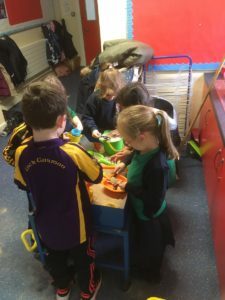 The infants are busy discovering all about themselves and their families with Autum, Halloween, The Post Office and Santa’s Workshop lined up for exploration in theme one.